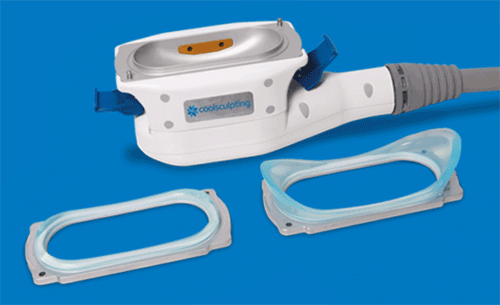 Dr. Ron Shelton is excited to be one of the first Dermatologists in New York City to offer the new FDA-cleared Cooladvantage Petite for upper arms. 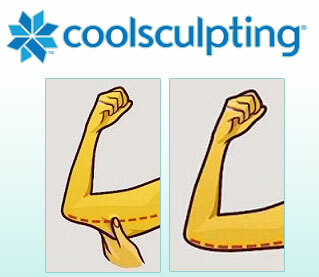 CoolPetite NYC is the new non-invasive fat reduction applicator to treat arm fat. Dr. Shelton has been treating the double chin of the neck, flanks (love handles) , upper back areas, and abdomen, inner and outer thighs for many years and now, he has extended that service for the treatment of upper arms with the new CoolAdvantage applicators. It is the long awaited treatment for visible fat bulges in the upper-arm ( commonly referred to as bat wings) owing to this area of the body being hard to target through mere exercise and diet. Mark Foley, President and Chief Executive Officer of ZELTIQ stated that "there are more than 14 million expressing concern about unwanted arm fat, making arms the third most popular area for consideration of non-invasive fat reduction." Treatment can take around 30-35 minutes. The applicators come with two interchangeable contours customized for the shape of arm area. For those of you who are trying to improve their overall shape and look of their upper arms, you can consult Dr.Ron Shelton at his practice in New York City and book an appointment. Treatment can be done as a series of bimonthly treatments and results can take around 4 - 6 weeks to show initial results, and may continue up to 4 months. Book an appointment by calling (212) 593 1818 without delay with Dr.Shelton who is a leading provider of CoolSculpting in NYC.